In this paper, fault diagnosis methods based on illumination variation similarity analysis for High-voltage Light Emitting Diode (HV-LED) lamp driven by segmented linear driver are proposed. The proposed methods assess the illumination variation similarity between the diagnosed lamp and the different fault-type lamp to diagnose whether the diagnosed lamp occurs fault or not and confirm the fault type. Euclidean distance is applied for calculating illumination variation similarity. The proposed fault diagnosis methods contain four parts: illumination signal smoothing, similarity calculation, similarity assessment, and fault recognition. The illumination variation data of the fault-free and three different faulty lamps, which are based on one HV-LED lamp driven by four-segment linear driver, are investigated for method verification experiments. The experimental results and analysis are given to demonstrate the validity and effectiveness of the proposed fault diagnosis methods in test chamber environment. 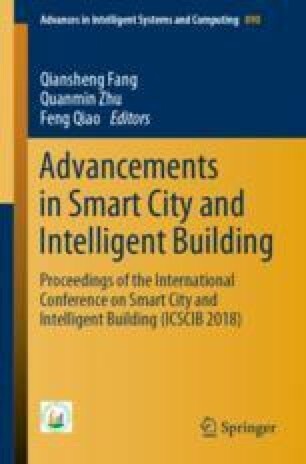 This work was supported by the Natural Science Research Project of Anhui Education Department (KJ2015JD24 and KJ2016A814 project), the Research Project of Anhui Provincial Housing and Urban Construction Department (2015YF-18 project), and the Research Project of Anhui Jianzhu University (2014XQZ03 project and 2017XQZ01 project).